Do you have a deadly dishwasher in your home? Do you know if it’s included in the over half-a-million dishwashers that have been recalled in the U.S. and Canada over the last two years because they’re a fire hazard? You’re not alone; most people don’t register their appliances and so haven’t been notified. The new service that we’re introducing this week means you won’t have to register your appliances to learn if they’ve been recalled. Florida Property Detectives is proud to partner with the Inspector Services Group to offer free RecallChek to all our customers on every home that we inspect. On October 17, 2017 the manufacturer of Bosch and several other dishwasher brands recalled 469,000 dishwashers because of overheating power cords that can potentially cause fires. The recall is in addition to the 2015 recall of 194,000 Bosch, Thermador, Gaggenau, and Kenmore dishwashers for the same reason. The models that are included in the recall were manufactured between 2008 and 2017. If you think that your dishwasher may be included in this recall, visit the CPSC at the link below for the complete list. According to consumer reports, dishwashers have caused 987 fires, 3 deaths, 23 injuries and almost 15 million dollars in property damage in the three years between 2012 and 2015. F.P.D. 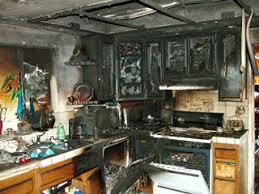 Home Inspections and RecallChek will help you determine if your appliances are safe for you and your family. Schedule your F.P.D. Home Inspection Here! RecallChek is a great service that will alert you if one of your appliances is recalled. During the home inspection we take a picture of the data plate on the appliances. These photographs are uploaded to the Inspector Services Group. ISG then prepare a report on the status of the appliances that is sent electronically to your email. If you would like ongoing information then you can create a free account with ISG for RecallTrak. This will give you future information about your appliances and any additional appliances that you purchase later. All you’ll have to do to add additional appliances is to upload a picture of the data plate: it’s that simple. At Florida Property Detectives we believe in providing excellent home inspections, incredible customer service, and tremendous value. Free RecallChek and RecallTrak are two ways that we demonstrate this.